Property 2: Great Getaway ... just steps from the beach! Property 3: Cozy home w/ shared pool blocks from the beach, restaurants, near Schlitterbahn! Property 4: NEW LISTING! Spacious condo w/ balcony firework show- steps from the beach! Beach Chic on a Budget! Property 7: Beach Chic on a Budget! Property 10: Waterfront Cottage; relax, fish, or golf in this gated family friendly resort!! Port Isabel Casita w/ Pool & Hot Tub Access! Property 12: Port Isabel Casita w/ Pool & Hot Tub Access! Property 13: Less Than A Block To The Beach! Cozy, dog-friendly guest house for 4 - shared pool, beach access nearby! Property 16: Cozy, dog-friendly guest house for 4 - shared pool, beach access nearby! Property 17: New Single Family Home Right On The Bay, In A Gated Subd. The Perfect Stay!!! Property 19: Exquisite Beachside Condo! Property 21: Gorgeous Island Oasis! Property 22: Expansive ocean-view home, w/private pool & great location! Property 23: Budget Island Refuge! Bayfront Home ~close to beach~ great family friendly amenities! Property 25: Bayfront Home ~close to beach~ great family friendly amenities! Property 28: Just steps from beach ! Enjoy Summer vacation on South Padre Island! Property 32: Sophisticated Island Home in Ocean Front Community with Pool! Beach is Steps from your Door! Property 34: Great For Large Groups! 3 Story Beach House, Sleeps 10! Upscale, Gated and Families Only Community! Affordable Rates! 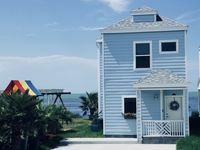 Property 35: 3 Story Beach House, Sleeps 10! Upscale, Gated and Families Only Community! Affordable Rates! Huge Wrap-Around Beach View Balcony! Private and Upscale! Property 37: Huge Wrap-Around Beach View Balcony! Private and Upscale! 1/2 Block From Beach, Right in the Heart of the Entertainment District!! Property 39: 1/2 Block From Beach, Right in the Heart of the Entertainment District!! Tortuga by the Sea! Picture-perfect Beach House, Community Pool & Private Beach Access! Property 40: Tortuga by the Sea! Picture-perfect Beach House, Community Pool & Private Beach Access! Property 43: Embrace the Beach Life, Private, 3 Bedroom Unit! Property 46: Updated Island Getaway! Beach House with Beautiful Private Pool. Centrally Located and just a Short Walk to the Beach! Property 47: Beach House with Beautiful Private Pool. Centrally Located and just a Short Walk to the Beach! This is a very comfortable relaxing home. It has everything you need to enjoy a quick weekend or to stay all month. The home is very clean and equipped with all the comforts of home. The fenced yard is a wonderful spot to hang out. It is a short walk to the beach and located close to shopping and restaurants. We had a fantastic stay. The home owners are wonderful to work with., great communication throughout the entire process. Great location and a wonderful home. Close to the beach but removed from the crowds. Relaxing view from the back patio overlooking the lagoon, watching the birds and feeling the breeze. House was clean and well-furnished, comfortable beds too. Each bedroom had a TV in addition to the large one in the den, so my grandson was thrilled when he wanted to retreat to read and watch a show. I never needed the owner because he had already made sure that everything was perfectly ready, but he made sure to let me know he was available. Definitely a great stay!